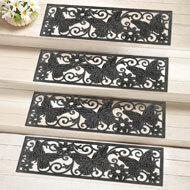 Braided Stair Treads w/ Skid-Resistant Backing - Set of 4 from Collections Etc. With a beautifully braided design, this set of 4 stair treads offers protection for your stairs and adds colorful charm to your home. Durable braided construction includes a skid-resistant backing. Machine wash. Olefin; imported. Each stair tread is 9"W x 29"L. This item ships from a separate warehouse and will arrive in a separate package. Colors available in Brown, Burgundy, Hunter Green, Navy or Red. 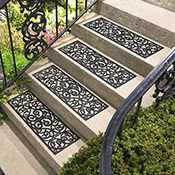 Crafted with the look of fancy iron grillwork, this set of 4 stair treads improves traction and helps remove dirt and debris from shoes. All rubber. Hose off to clean.  Set of 4, each 29"L x 9 1/2"W.